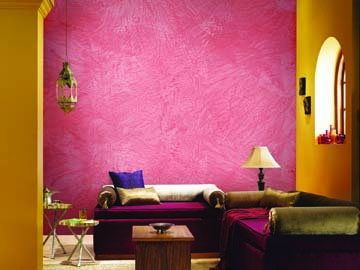 We make choosing the right colour for your walls an easy task with these tips. A good interior wall painting job starts with a good surface preparation. 1. Check for the surface condition. Any issue with dampness or seepage should be addressed first. Paint isn’t the answer to such problems. 2. A good base preparation is necessary with primer-putty-primer application. One should also take care to avoid undulations on the walls. There are a range of wall paints available to choose from these days. 3. Water based versus oil based paints: Water based paints are more popular. Oil based paints are limited to kitchens, bathrooms, etc and are less preferred because of their odour. 4. Choosing the right sheen: Depending upon your personal taste, you could choose between high sheen, low sheen and matte finishes. 5. Range: A variety of options are available at different prices. They are popularly divided as luxury emulsions at the top end, premium emulsions and economy emulsions. As the name suggests, luxury emulsions are the best in terms of decor and performance features. You can also choose to mix and match the products for different spaces in your home to fit your budget. 6. Colour combinations: You can choose to paint all four walls in the same colour or highlight one wall with a complimentary colour from the adjoining family. 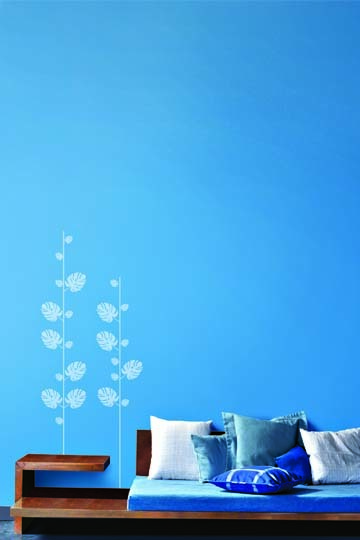 For instance, a dark blue shade on the front wall could be matched with sky blue on the surrounding ones. You could also use accent colours (dark shades) on one wall or in a niche to highlight the same. 7. Using colour samplers: Select paint companies such as Asian Paints offer sample options where you can get the colour of your choice in small packs. You can use this to sample the right colour before investing in the final colour. 8. Maintaining decor: While selecting an interior wall colour always keep in mind room accessories like furniture, furnishings etc. 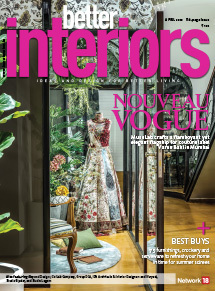 You wouldn’t want to re-do your entire interior decor, right? 9. When the light is right: The kind of light used in the room can work best with certain shades or colour. 10. Special treatment: Are you open to try out something other than ‘flat’ finishes? There are several companies that offer a host of faux textures and metallic shades, or a combination of both!